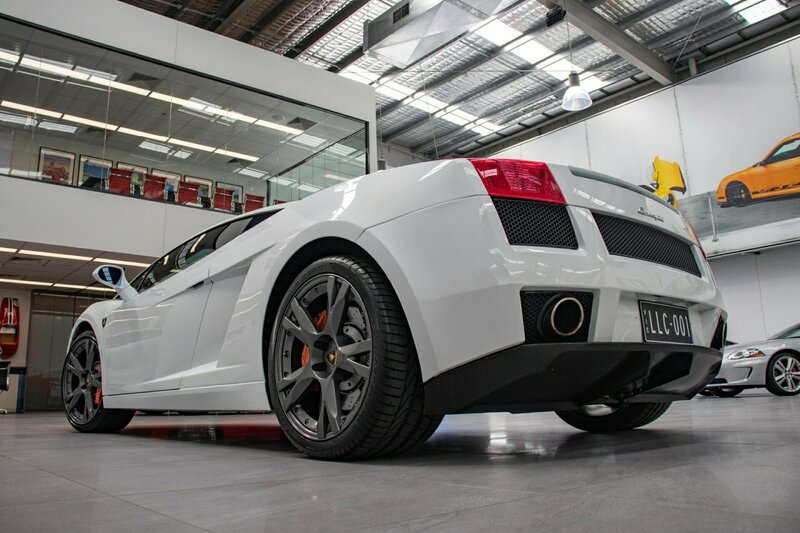 LAMBORGHINI GALLARDO 2005 E-Gear. 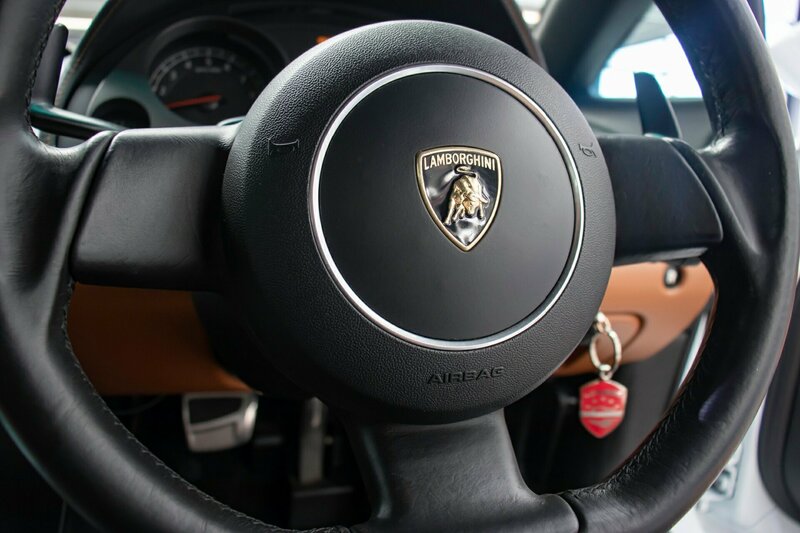 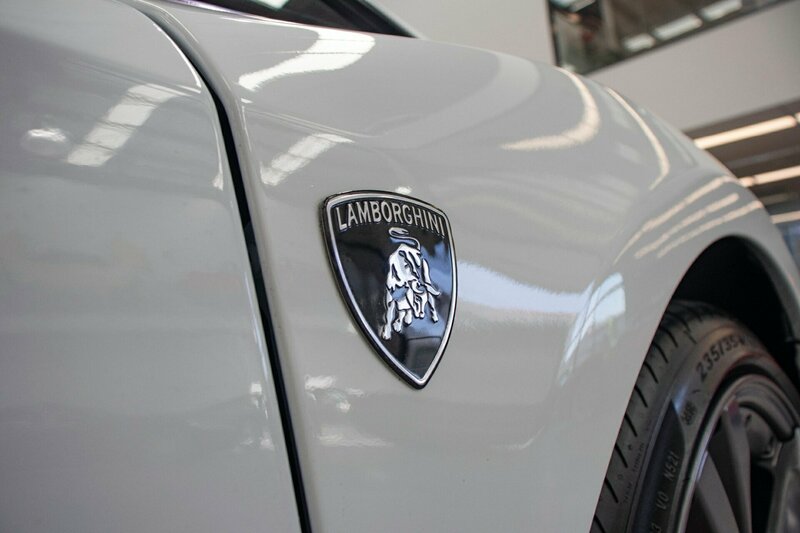 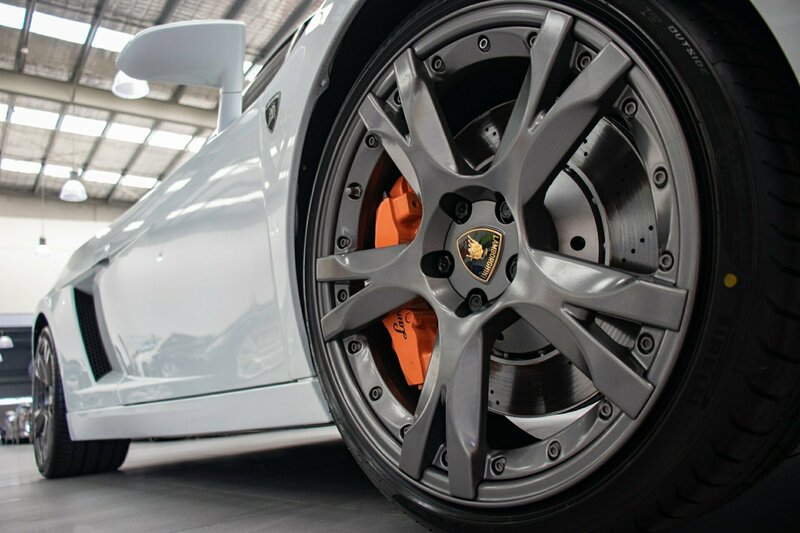 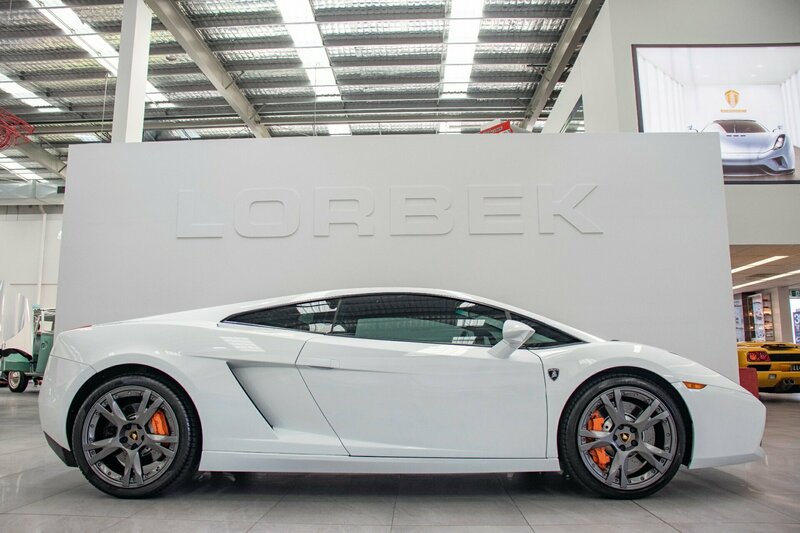 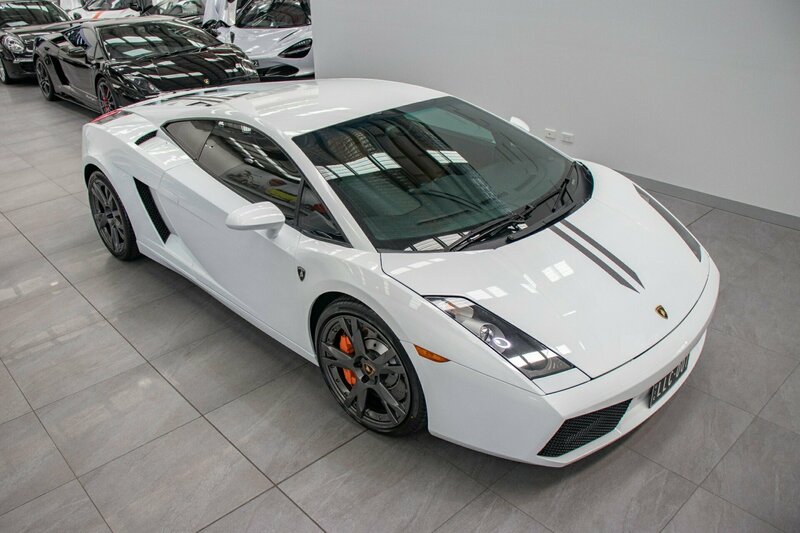 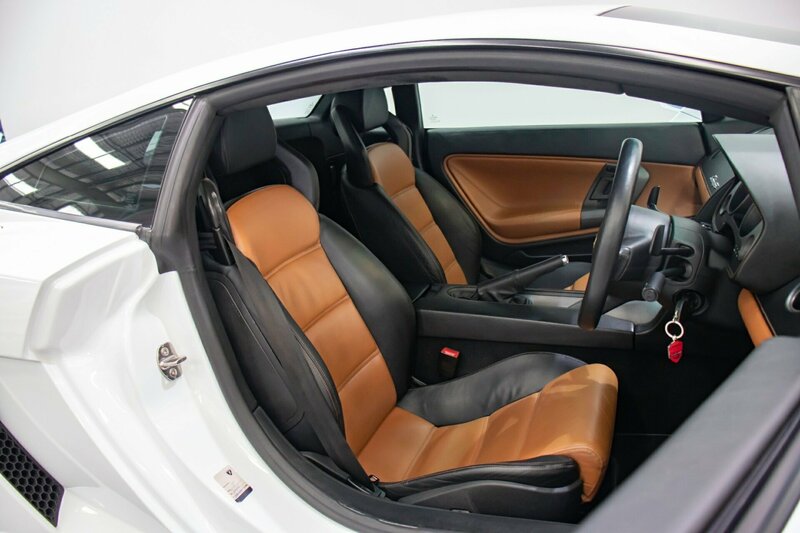 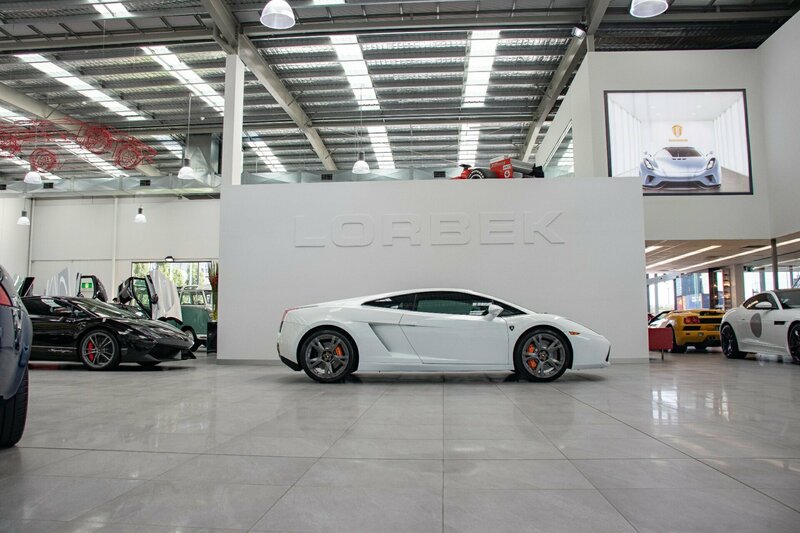 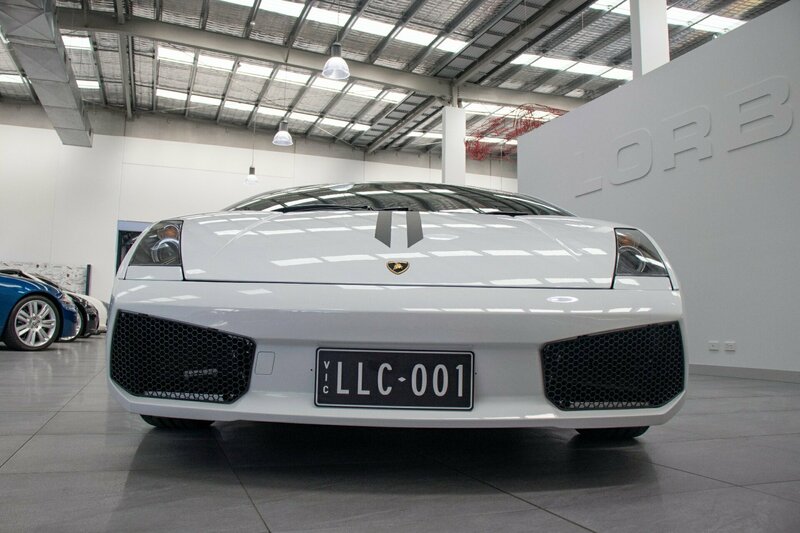 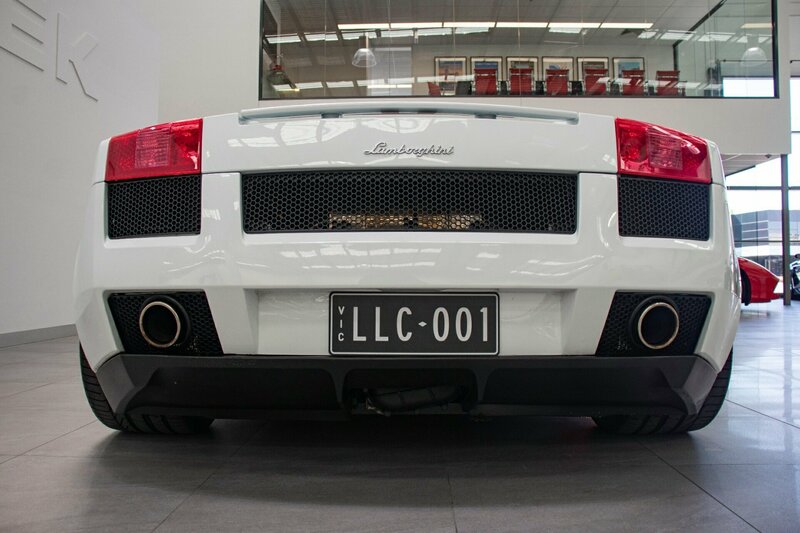 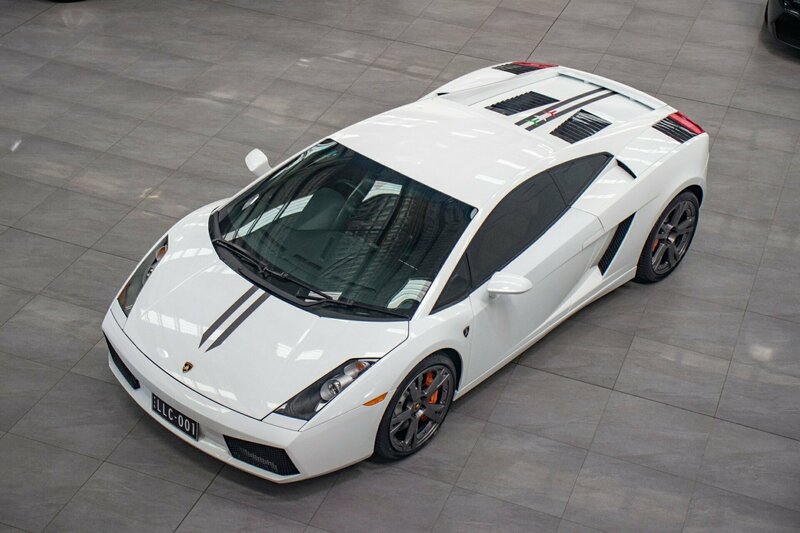 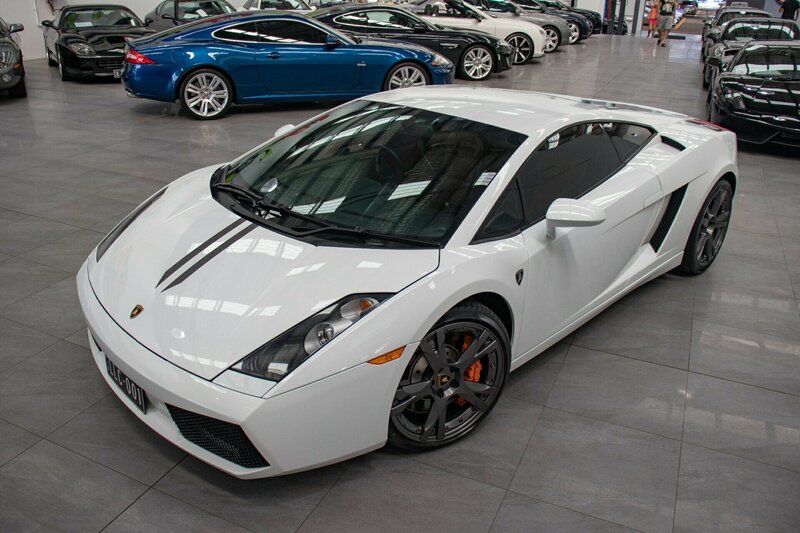 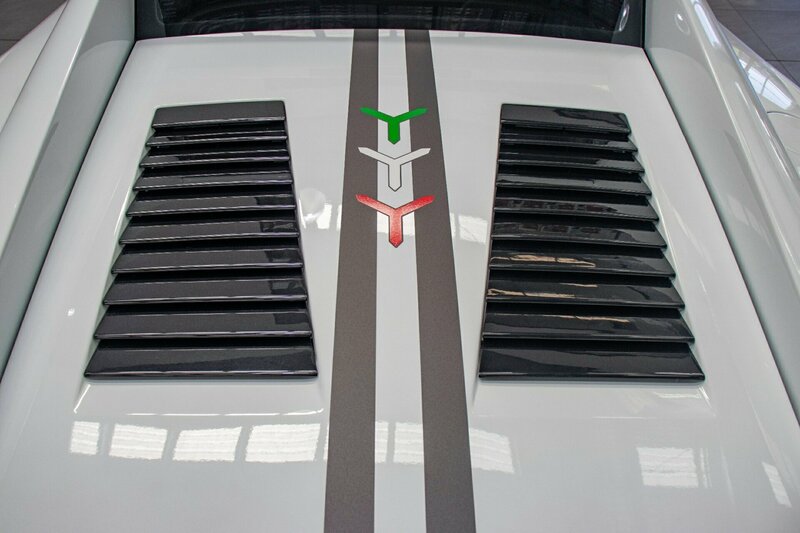 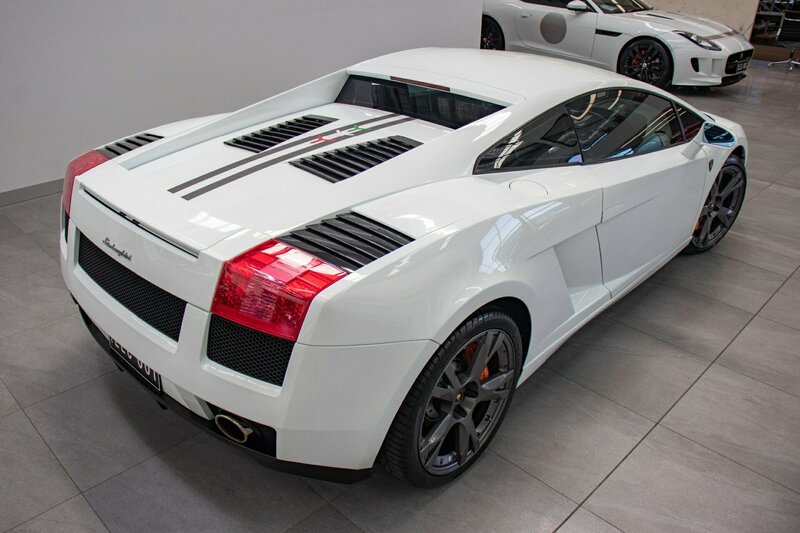 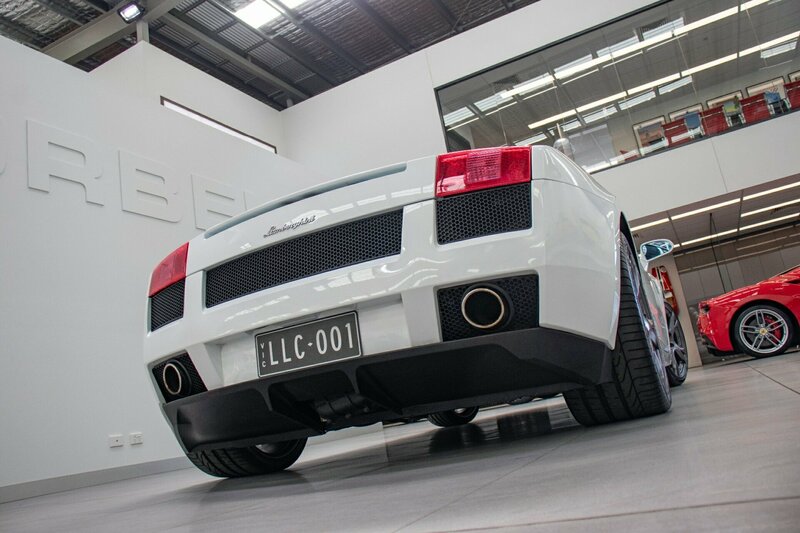 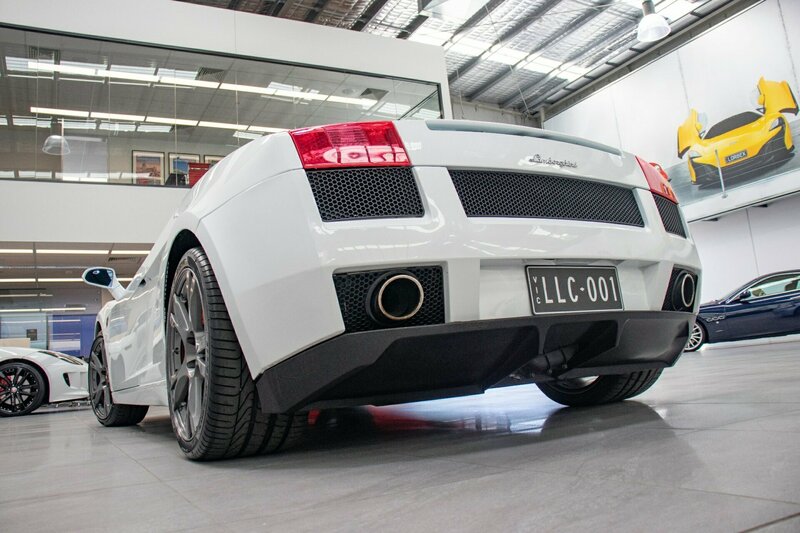 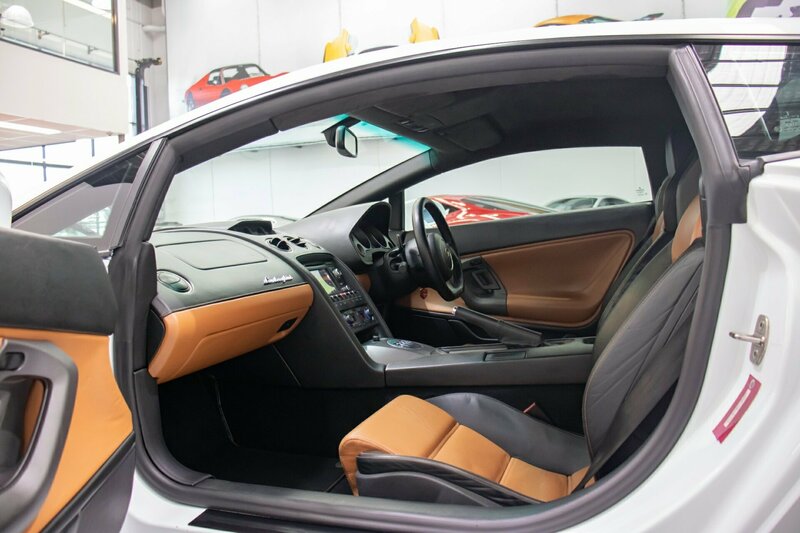 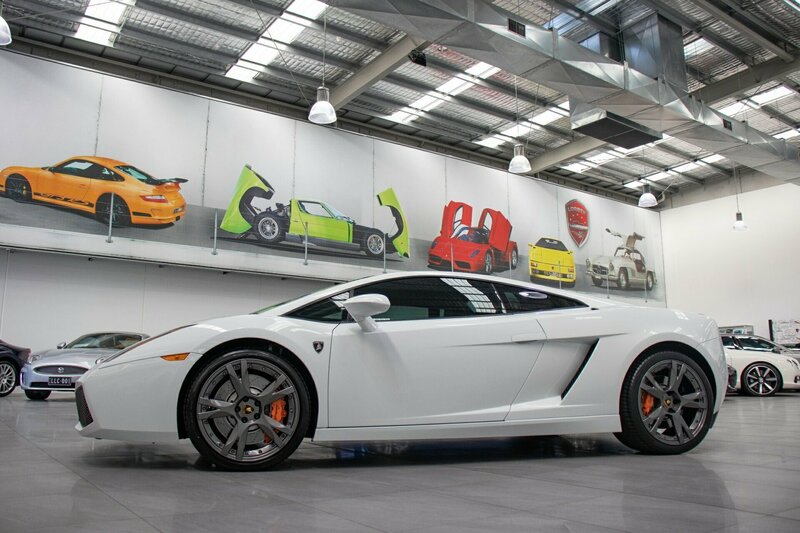 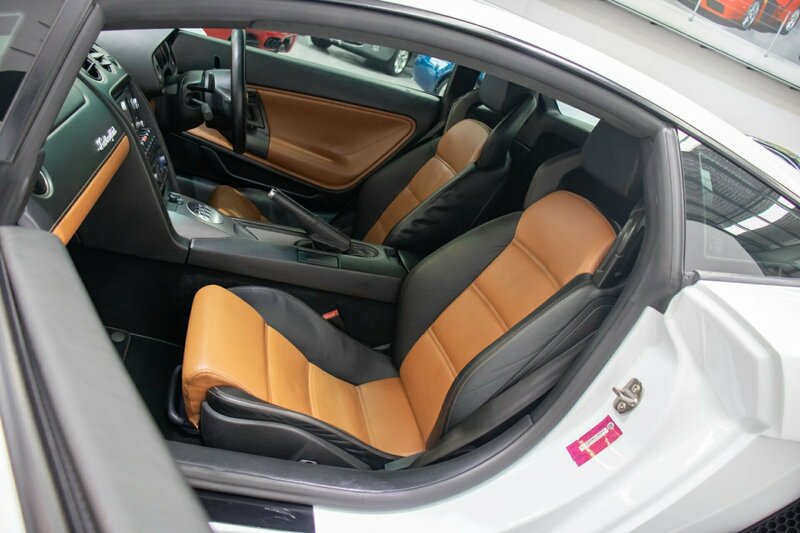 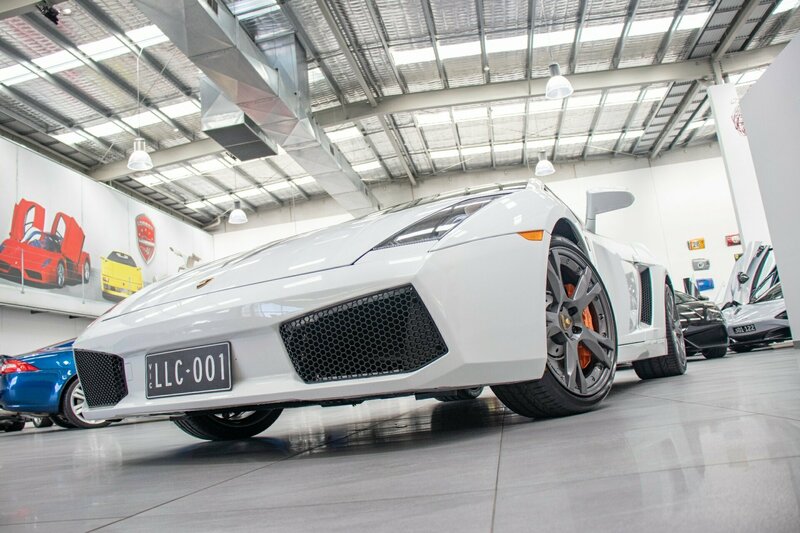 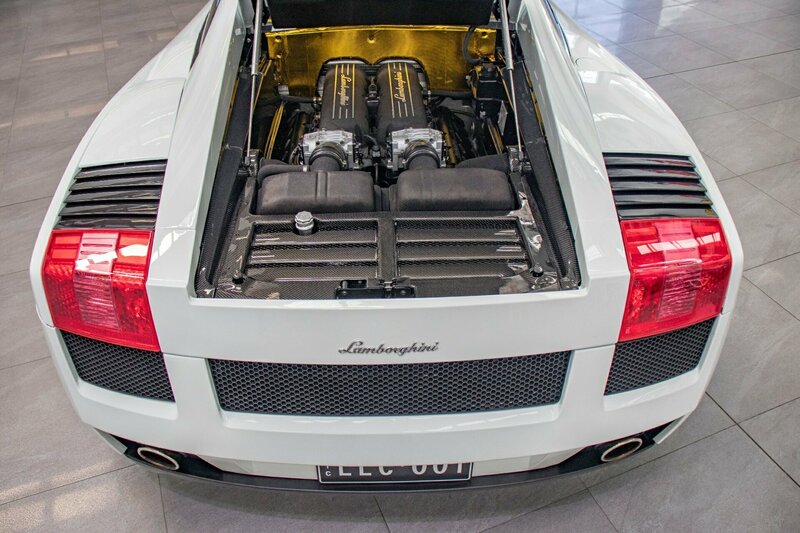 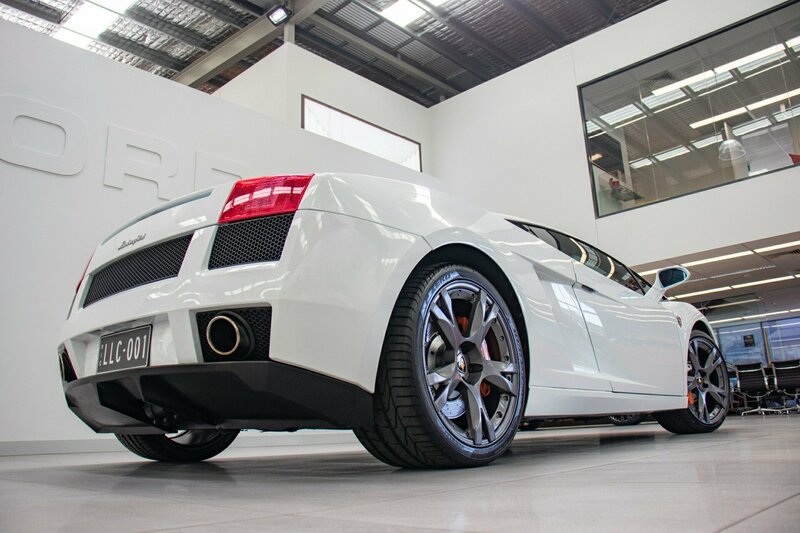 This special Gallardo is beautifully presented in stunning white, two-tone soft touch Black Nero Perseus and Arancio Leonis leather interior seats and interior throughout, distinctive double stitching, complimenting exterior Italian decal package. 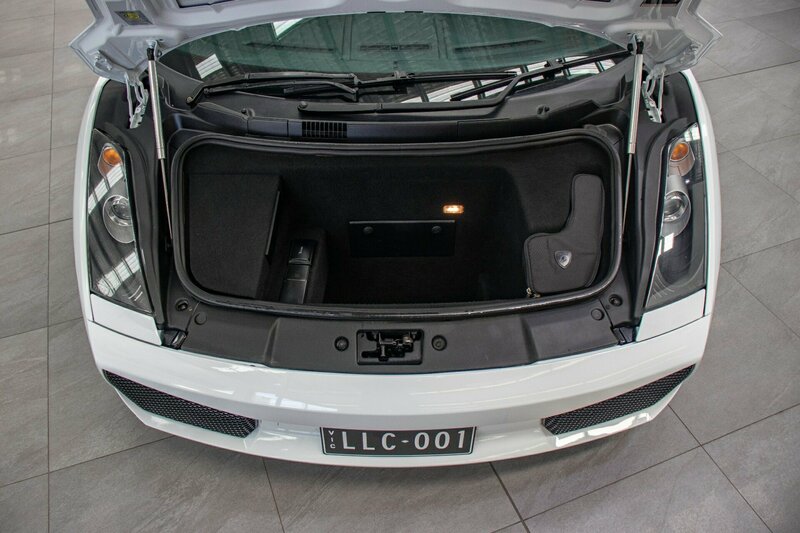 Full electrics throughout including, power windows and mirrors, partial electric leather seats, multi-function monitor with on-screen trip computer, quality multi-media system, premium surround sound CD stereo, dual zone climate control, tinted windows, stainless steel kick plate with Gallardo-logo, photographed with optional upgraded genuine Lamborghini Callisto titanium colour alloys (available for $3,500) with orange Lamborghini branded brake calipers, many, many more extras. 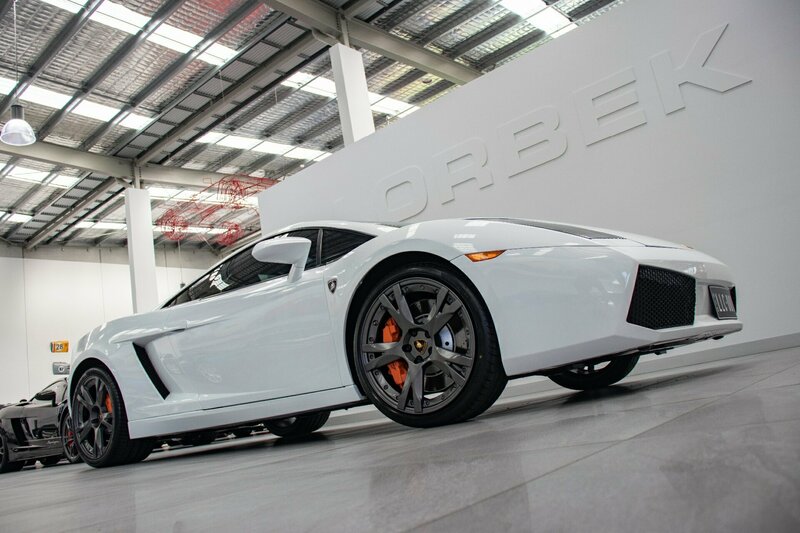 An absolutely spectacular collectable exotic supercar. 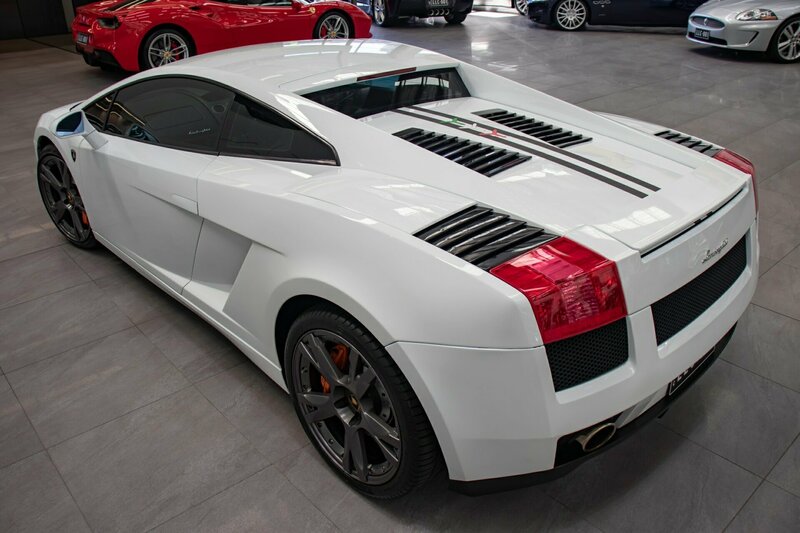 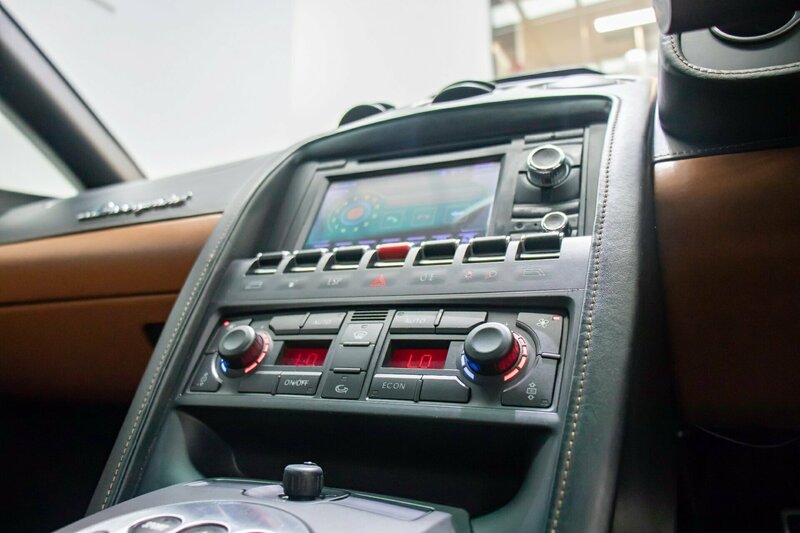 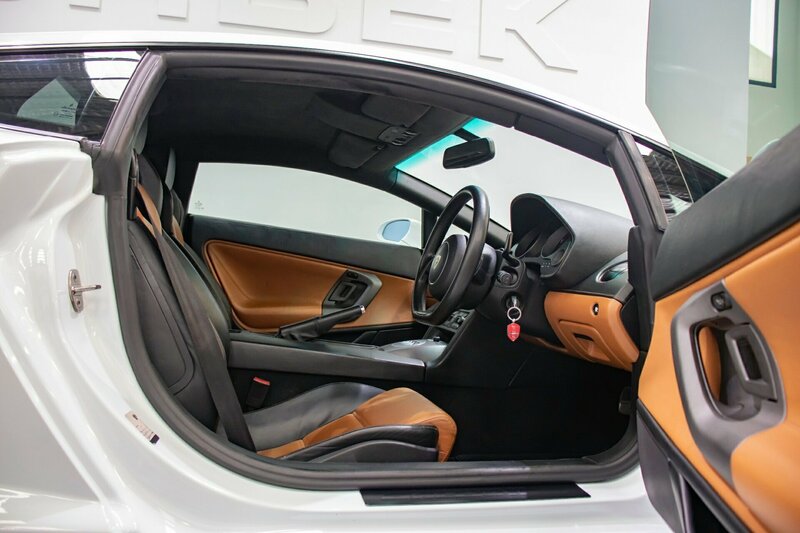 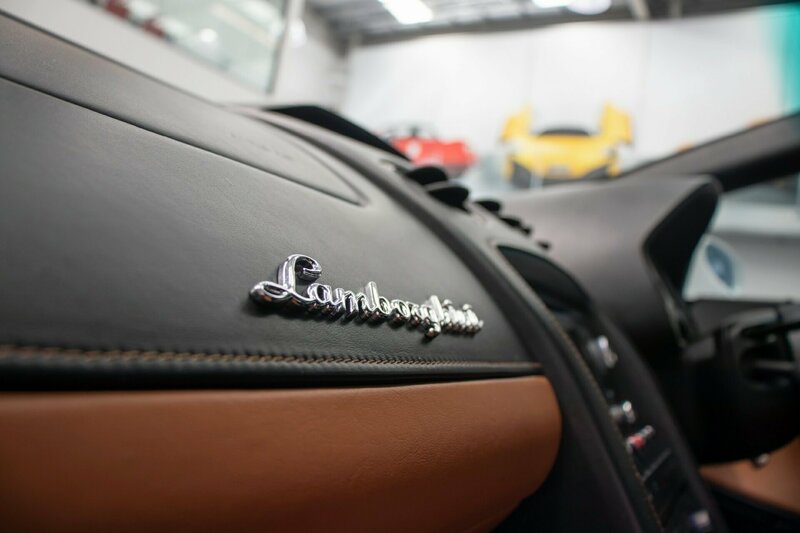 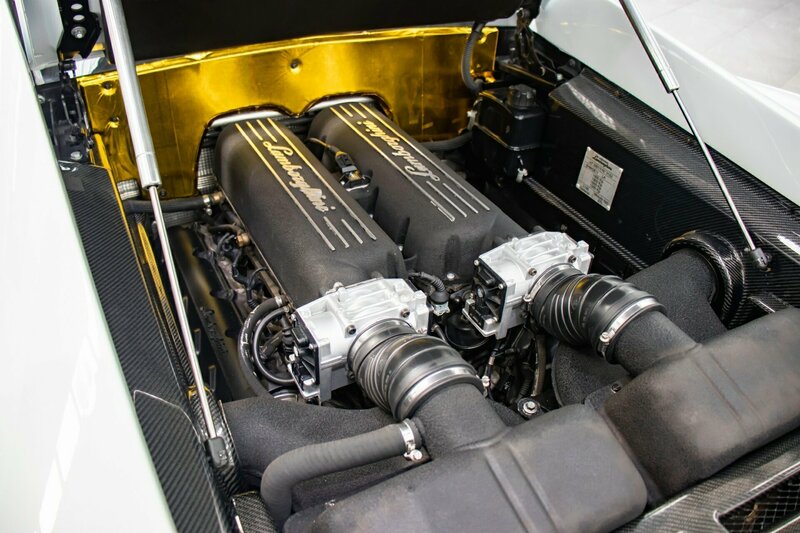 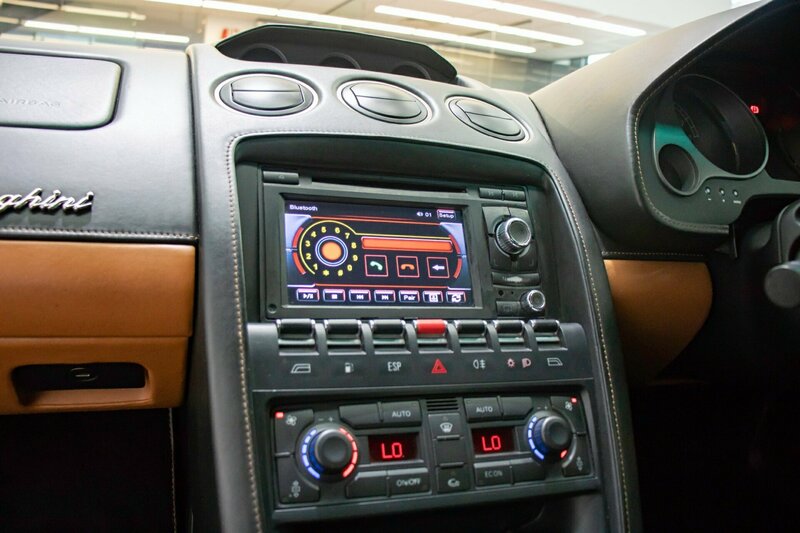 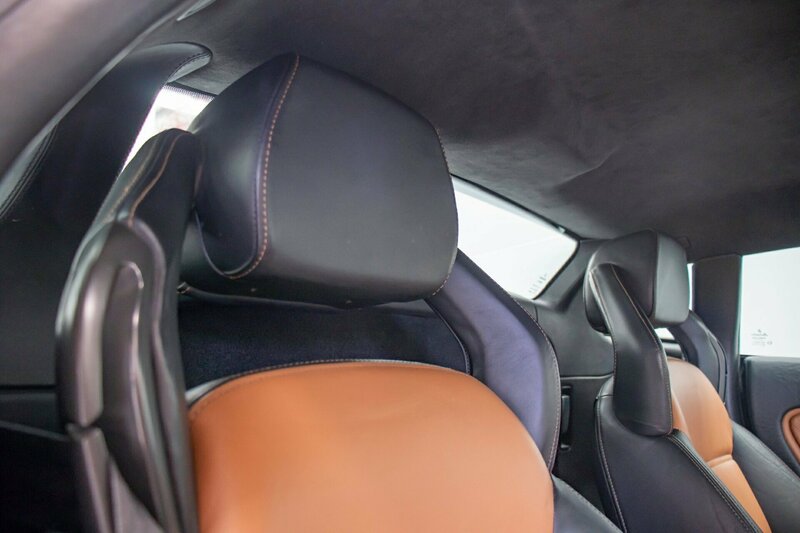 This absolutely stunning super spectacular exotic supercar comes with fully documented and stamped service history from new with extensive history files and documents from new. 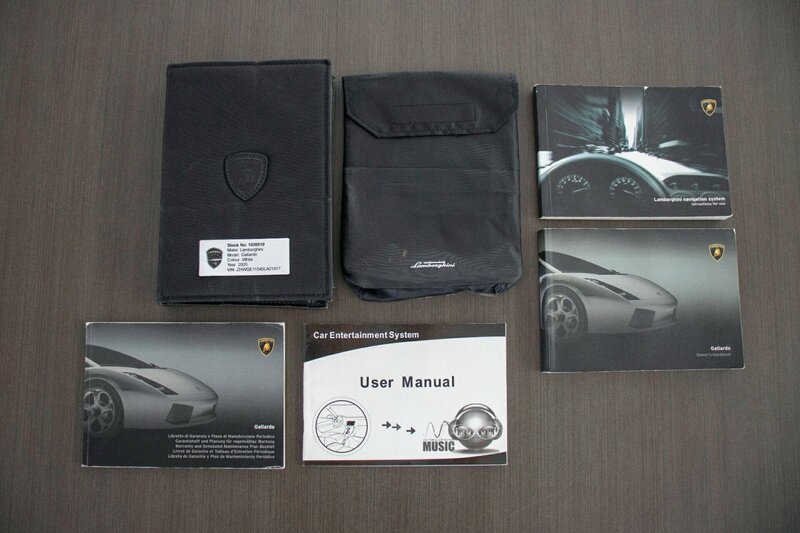 Complete new car books, all new car warranty and delivery hand books, comes with original issued new car key and valid for our national/Australia wide 10 year warranty. 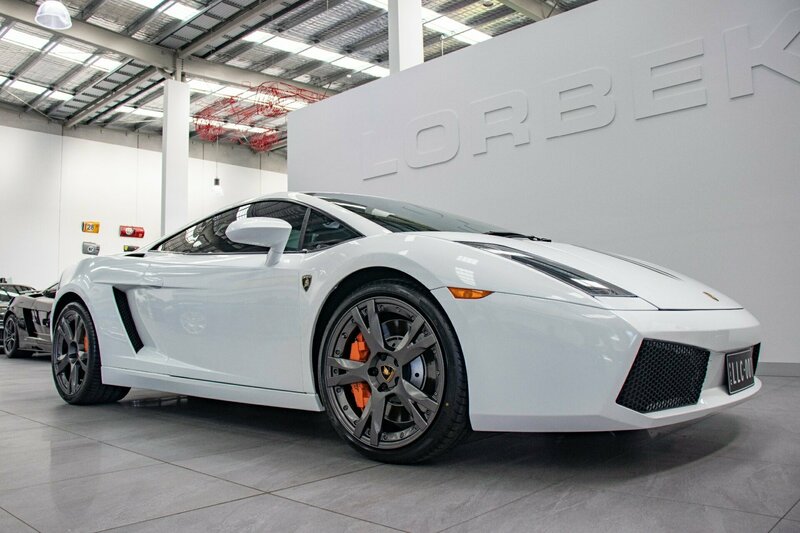 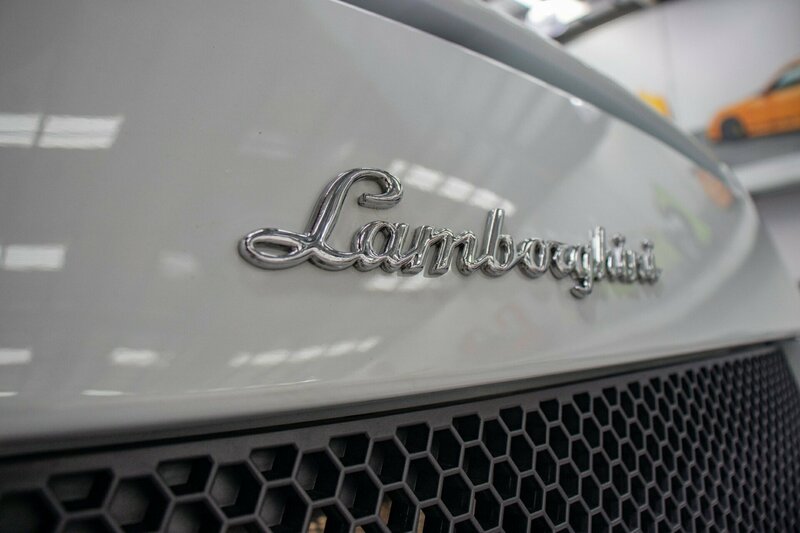 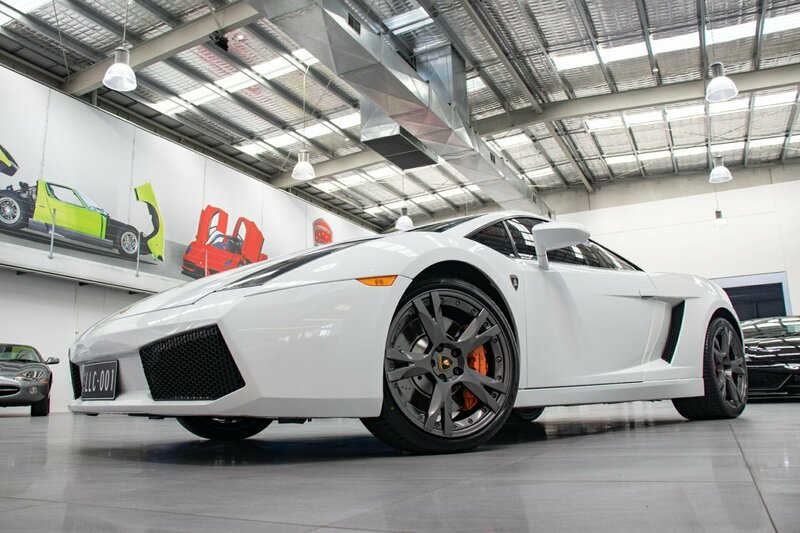 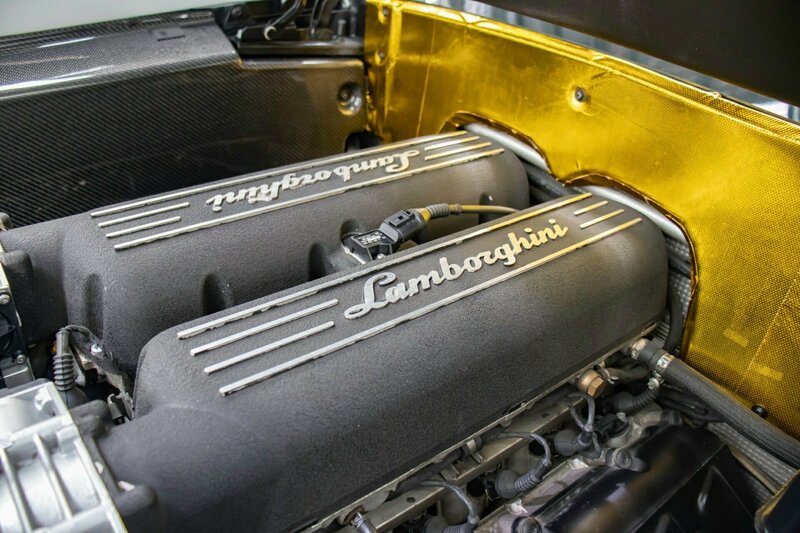 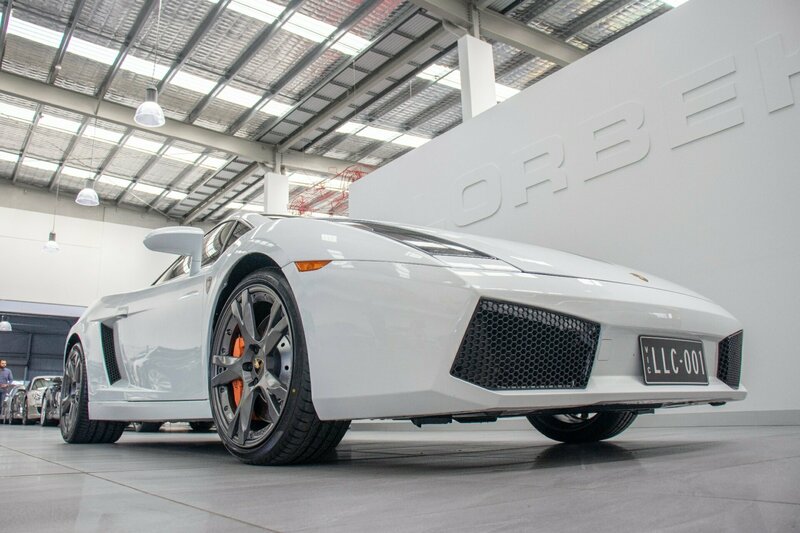 Take advantage of this opportunity to secure this spectacular example Lamborghini at only $159,990.